Enjoy Christine M. Whitehead’s Books? Tell us Why and Win a Free Book! Kindle Scout winner and has been top 100 Mysteries on Amazon. # 1 for Women’s Adventures! Stephanie Plum meets The Good Wife! Attorney Quinn Jones is in over her head. Her husband, Jordan Chang, Annapolis grad and superstar businessman, has been found dead outside their Greenwich Village brownstone. He’s wearing clothes that aren’t his, and was last seen at a place he never went while consorting with people he shouldn’t–and he’s vastly richer than he ought to be, Quinn discovers. Since NYPD has labeled Jordan’s death a suicide, Quinn is on her own to uncover the truth. Courtrooms, Quinn knows. Chanel No. 5, horses, martial arts, and frizzy hair, she knows. Murder, she doesn’t know but she’s learning fast in order to stay alive. With a few clues to work with, including a photo of Jordan with a stunning unknown Asian woman and a copy of a 1986 check payable to Jordan for twelve million dollars, Quinn stalks the back streets of Chinatown, haunted by the need to know what happened that day and why. The post <p style="text-align:center;font-weight:bold;">“Compelling twists and turns.” <br /> STEPHANIE PLUM meets THE GOOD WIFE, with over hundreds of rave reviews! 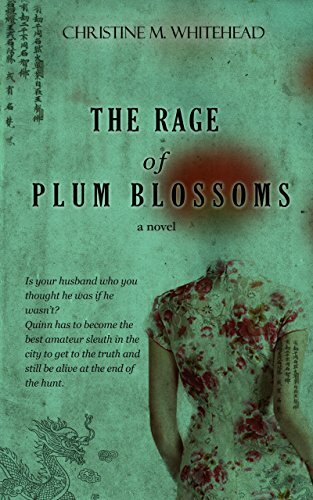 <em>The Rage Of Plum Blossoms</em> by Christine M. Whitehead</p> appeared first on Kindle Fire on Kindle Nation Daily.